Fish hooks come in a variety of sizes and patterns and have been employed for centuries by fisherman to catch fresh and saltwater fish. In 2005, the fish hook was chosen by Forbes as one of the top twenty tools in the history of man. Fish hooks are normally attached to some form of line or lure device which connects the caught fish to the fisherman. 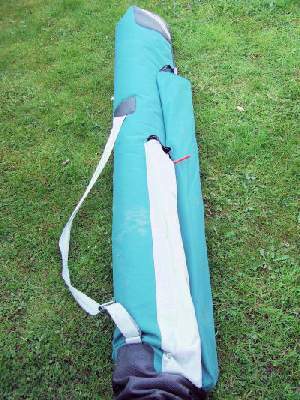 A float is a device used in angling that serves two purposes. It suspends the bait at a predetermined depth, and it serves as a bite indicator. Floats come in different sizes and shapes. 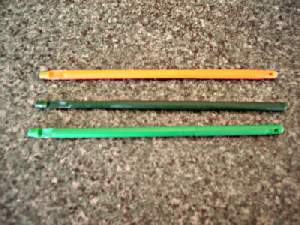 The long, thin ones are very sensitive and are used for coarse fishing. There are many different types of float and all are used in different circumstances. 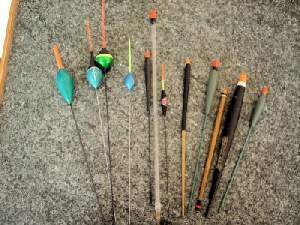 A thin tube of plastic, called a "waggler", is the most common running line float on still waters, and has the line threaded through an eye at the bottom. An "avon" float has a largish oval shaped hollow area near the tip allowing it to be cast further because more shot should be added to the line to leave only the tip showing. An avon is used in slow-flowing water. There are also floats that offer directional control. In a river you only need to cast one time if the current isn't too fast; after that, you can steer them left or right down stream, reaching areas you couldn't reach any other way. On a lake with no current you reel them 1/4 the speed you normally reel and they travel 4" for each 1" you reel. This reduces the amount of times you need to cast by 75%. They can be used to steer under docks or trees. Swimfeeders allow the angler to deposit loose feed next to your hook bait when ledger fishing. They provide an accurate way of getting loose feed out at distance accurately, keeping the loose feed close to your hook bait. 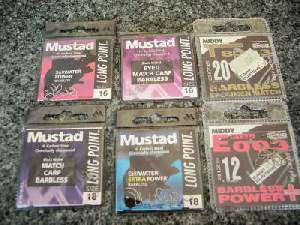 A fishing line is a cord used or made for angling. 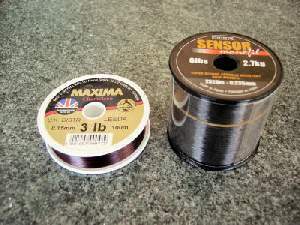 Important parameters of a fishing line are its length, material, and weight (thicker, sturdier lines are more visible to fish). Factors that may determine what line an angler chooses for a given fishing environment include breaking strength, knot strength, UV resistance, castability, limpness, stretch, abrasion resistance, and visibility. 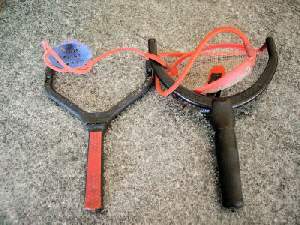 Catapults are used to project ground-bait into areas which they otherwise would not be able to reach and to distribute maggots around the hook area. 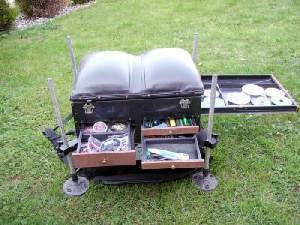 A seatbox not only provides a comfortable area to sit whilst fishing but provides multiple storage options for a variety of fishing tackle. 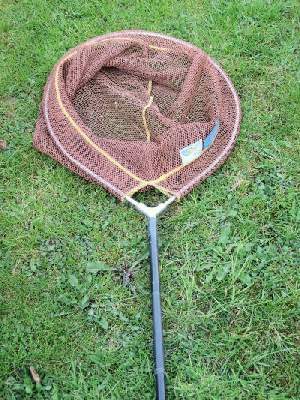 A landing net is used by the angler to capture or "Land" a fishing that has been hooked. This provides a safe method "Landing" when catch and release fishing. A good quality holdall provides storage for larger elements of fishing tackle including rods, poles, banksticks and an umbrella. 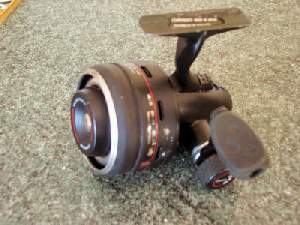 A fishing reel is used to store, deploy and retrieve fishing line. A fixed spool is mounted on an axle that allows the line to flow freely when casting and then be wound back in by turning the spool handle to retrieve the catch. A disgorger helps with the safe unhooking of a fish once caught. 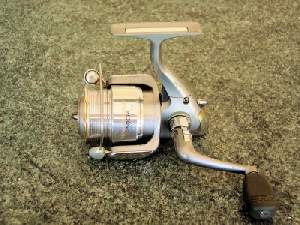 A fishing reel is used to store, deploy and retrieve fishing line. A spool is mounted on an axle that allows the line to flow freely when casting and then be wound back in by turning the spool handle to retrieve the catch. 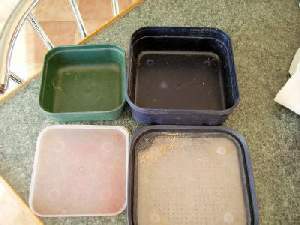 Bait boxes come in a variety of shapes and sizes and can be used to store all kinds of baits. 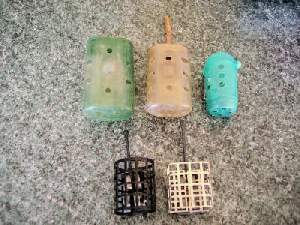 Most often made out of light weight plastic the boxes have breathing holes on the top to allow the safe storage of live bait.